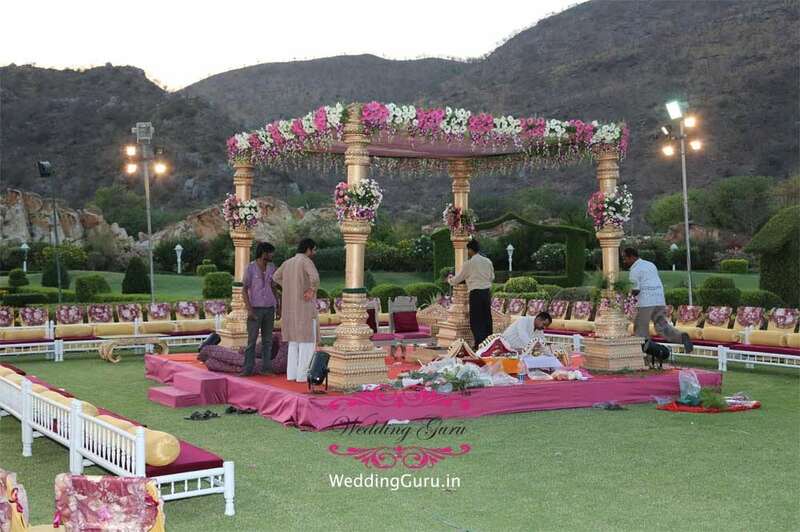 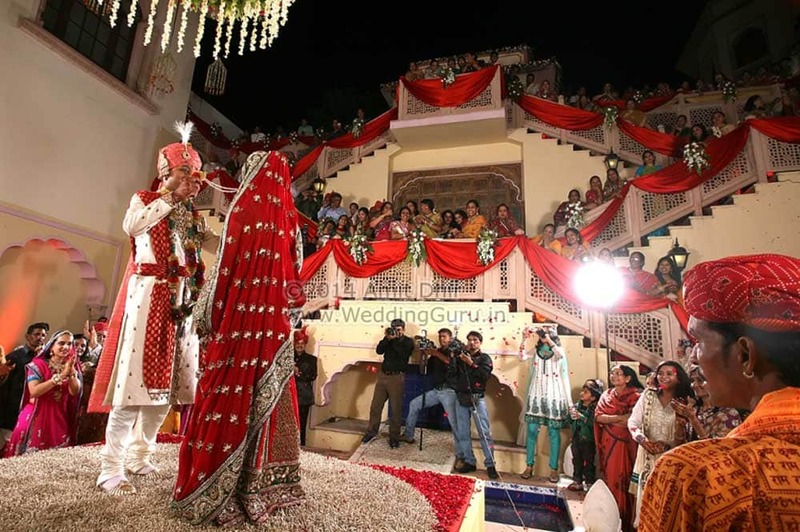 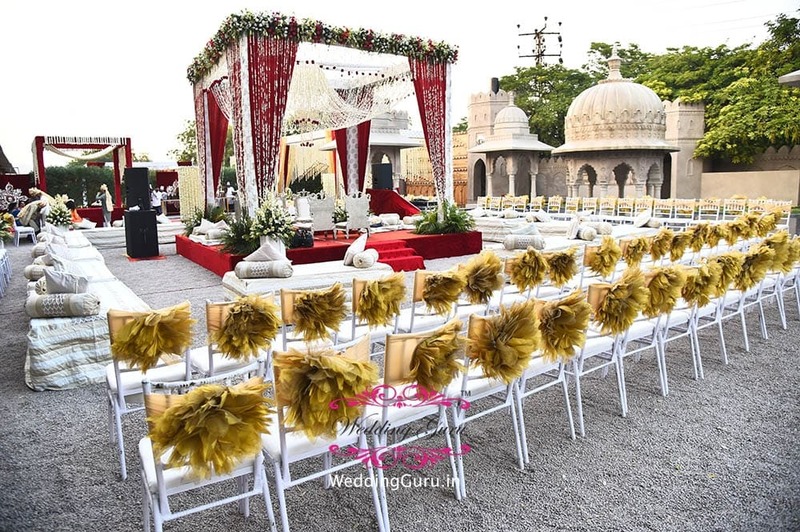 At Wedding Guru, once you join hands with us, you not only get a truly reliable, professional and experienced wedding consultant, we hope you gain a family member who will carry out your wedding exactly the way you have always dreamt of………we love developing this unique bond with the couple and their kin and being able to witness their reaction when all the time and effort everyone puts in comes to fruition and becomes a joyous reality. 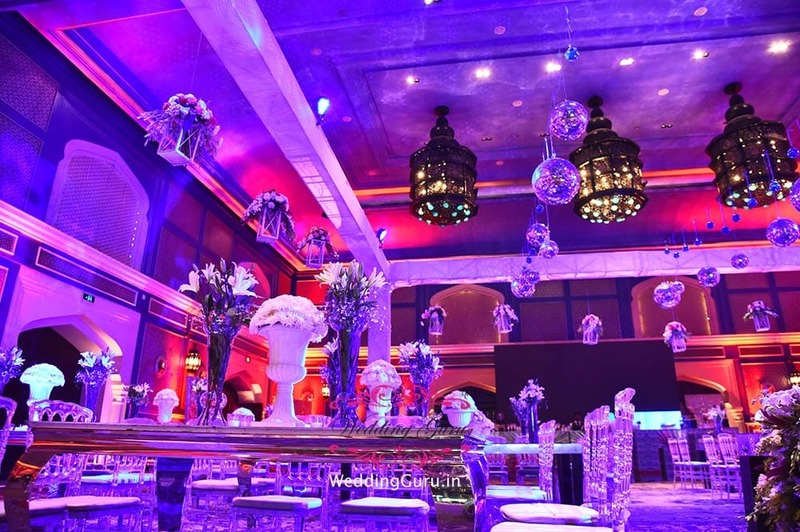 Share your dreams with us and we will help you to bring them alive! 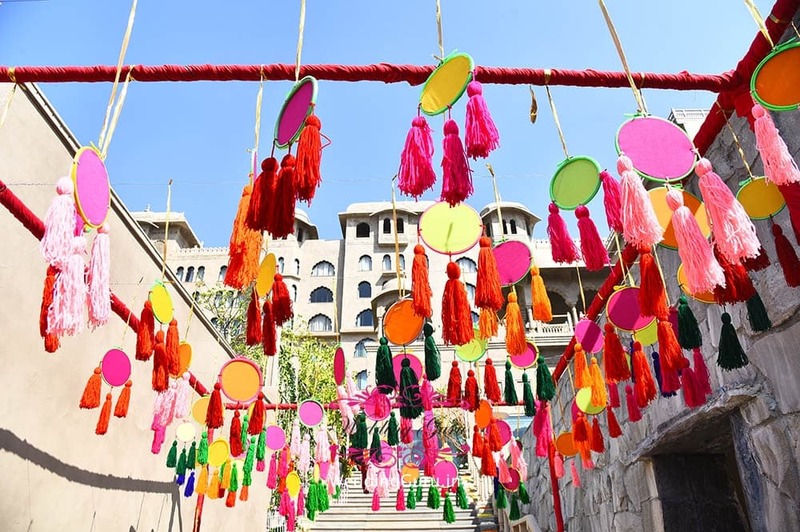 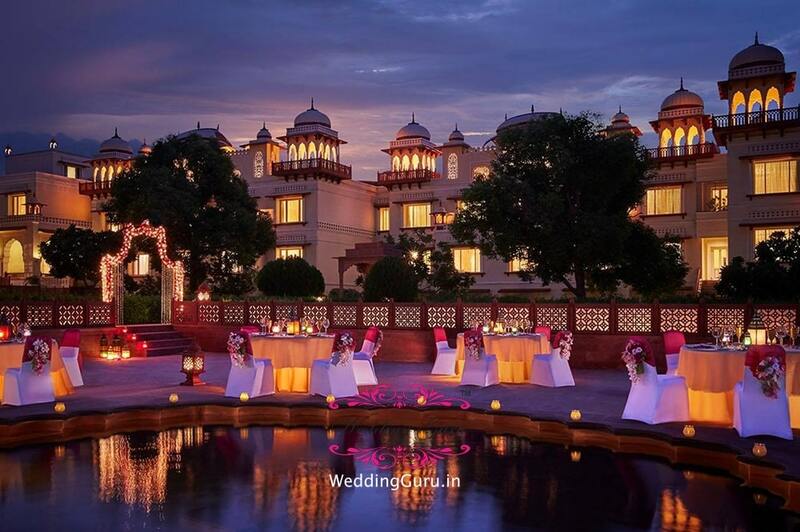 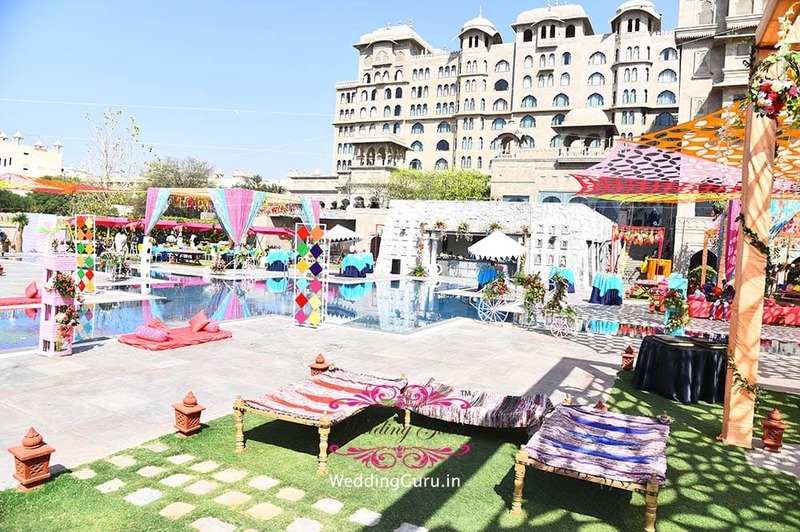 Be it a Royal Wedding in a Rajasthan Palace, an adventure filled affair in the lap of virgin jungles, a mountain hill-top retreat, a pristine purely romantic beach affair in an exotic locale, or even a yet unexplored – untried idea! 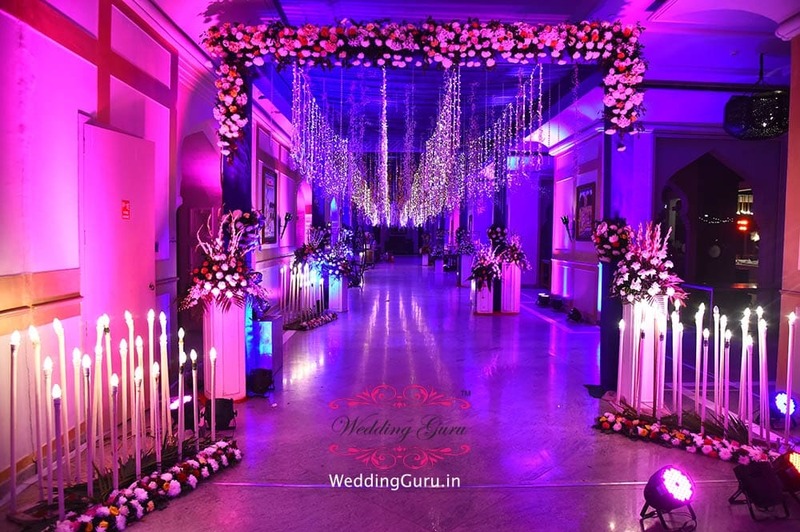 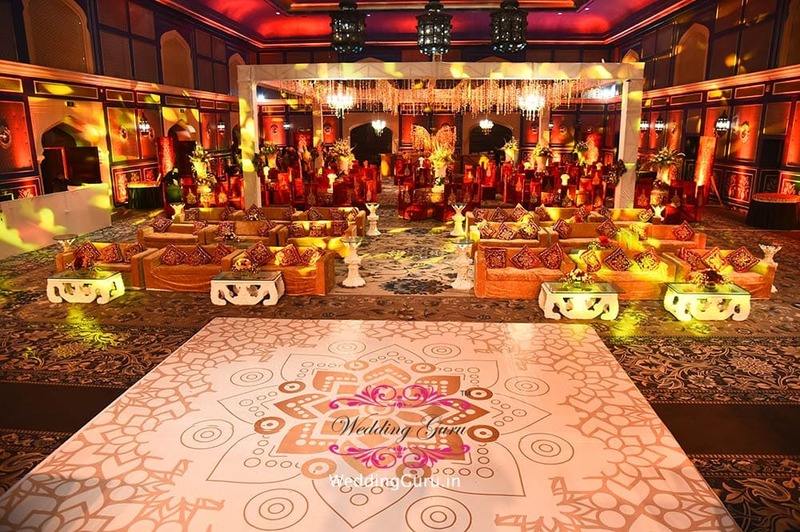 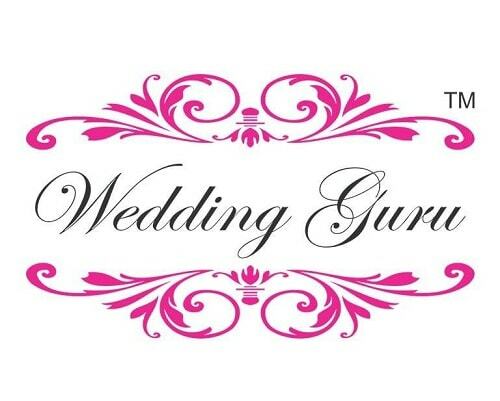 Wedding Guru has an unparalleled reputation and the purchasing power to assist secure your chosen location, an unrivalled management team working with the local supply chain, all quality assured to deliver and meet the very highest standards, whatever your budget. 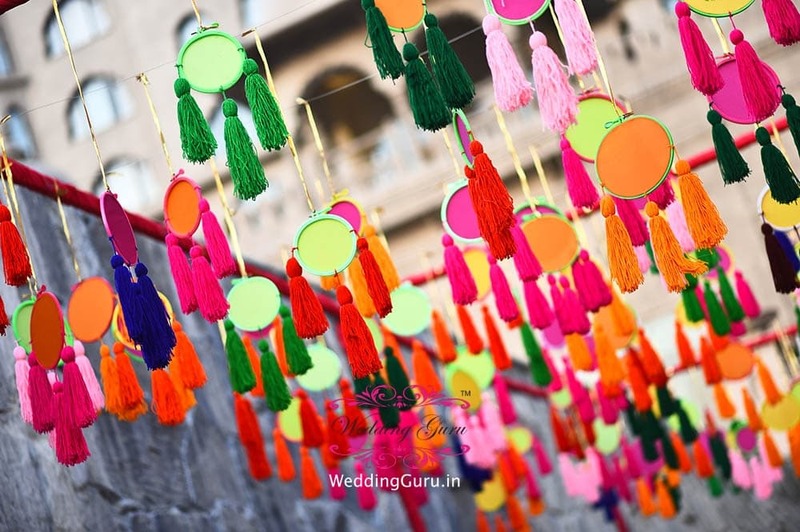 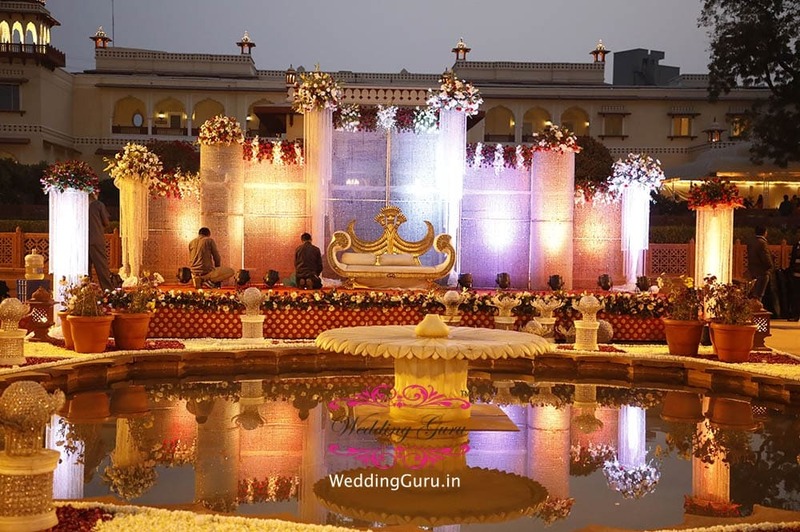 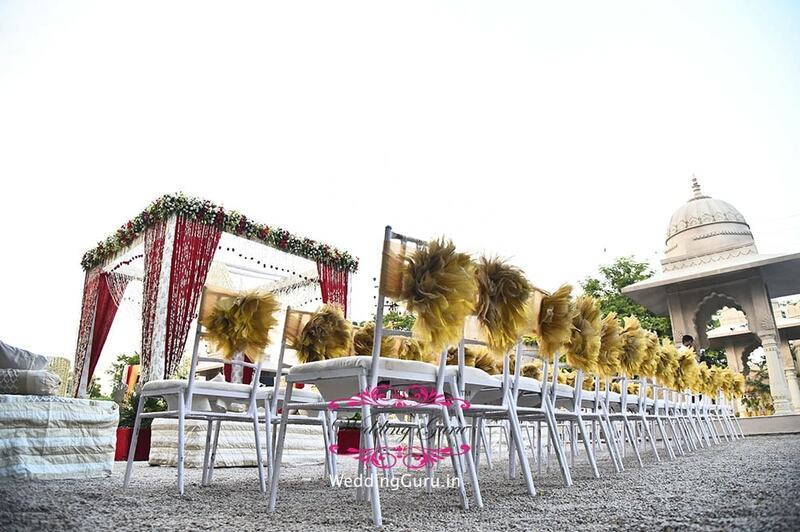 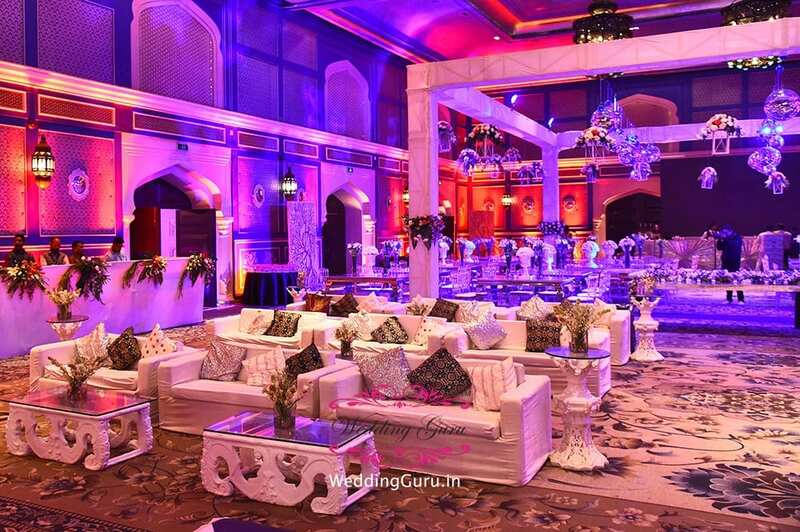 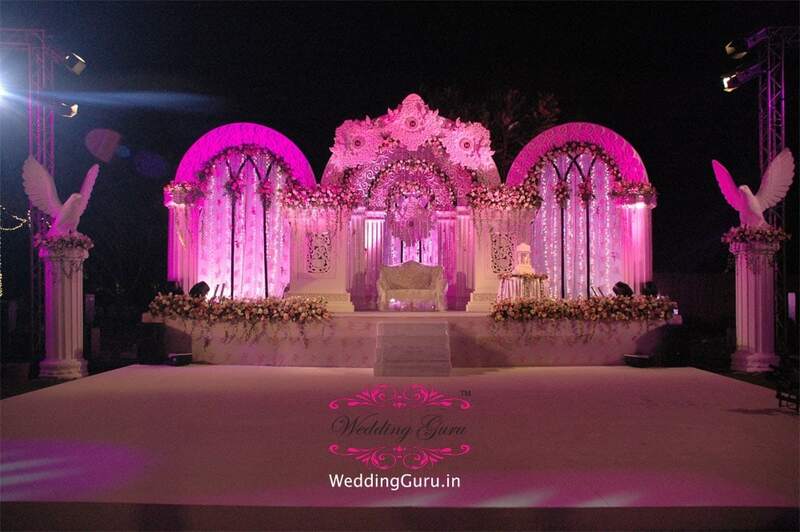 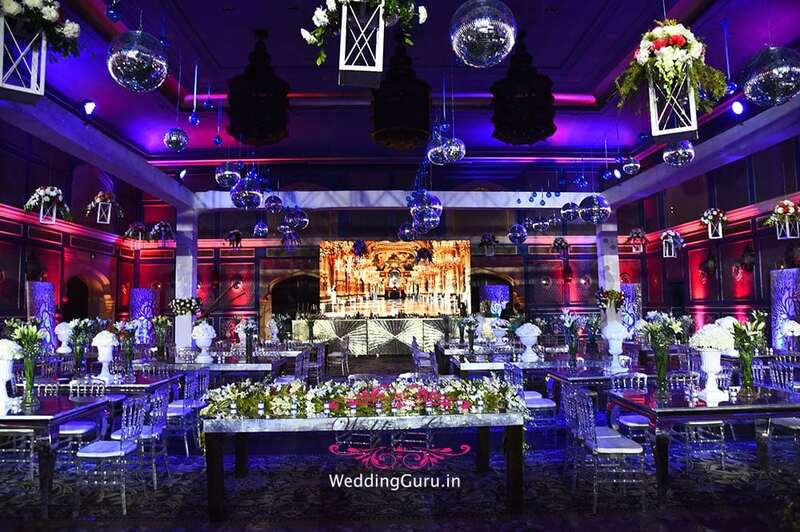 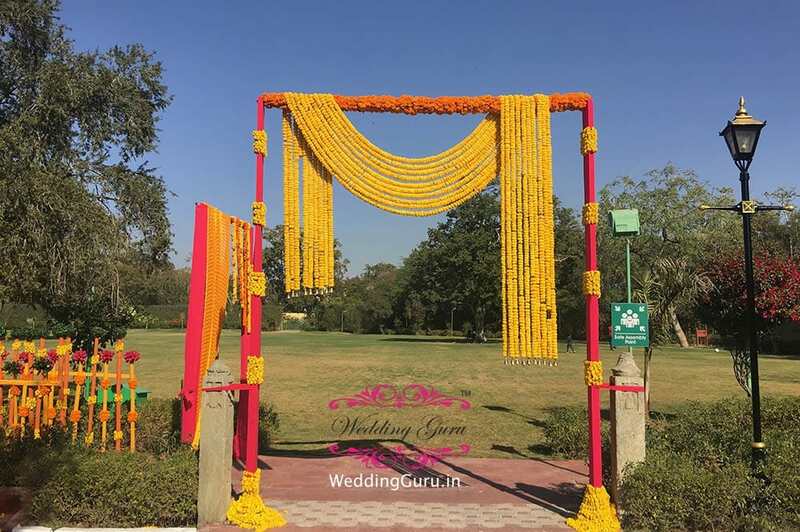 Wedding Guru provides a dedicated website for you to view, monitor, communicate and stay in control of all the arrangements. 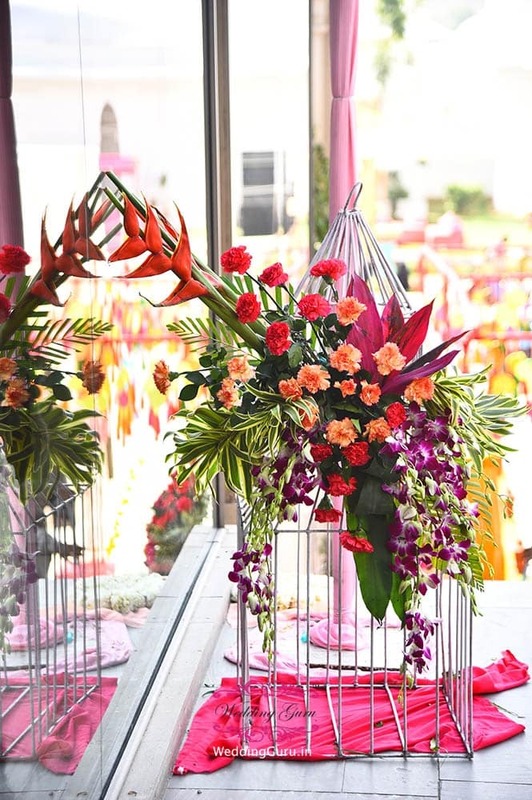 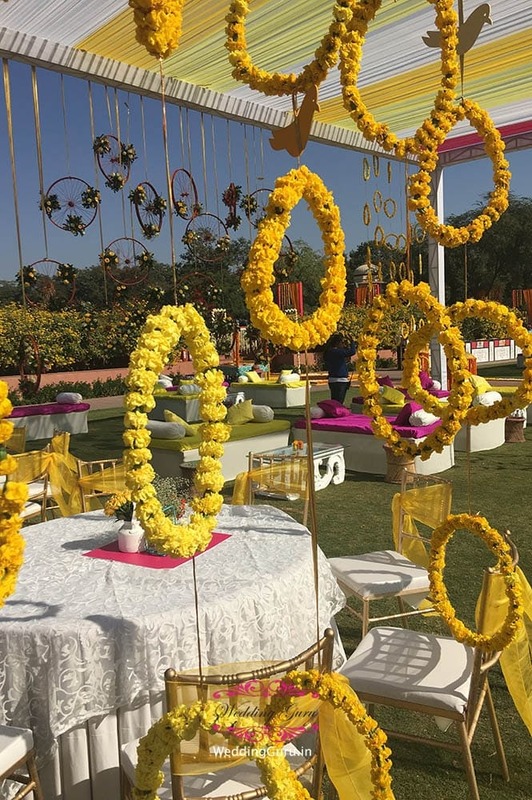 Thus, offering you the stress-free ability to create that perfect vision that’s in your mind; from the choice of fresh flowers, through bespoke themed events, live cooking stations, to light and sound options, or even designing your own mandap we are there for you. 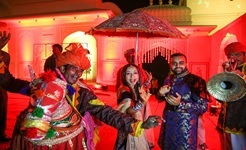 Wedding Guru is your one-stop shop and as part of the India Calling Group – a premier inbound, government-approved and licensed, travel and tour operator, we have the in-house expertise to meet all local transport and accommodation requirements, as well as overseeing all pre- and post- wedding activities (www.triptoindia.com). 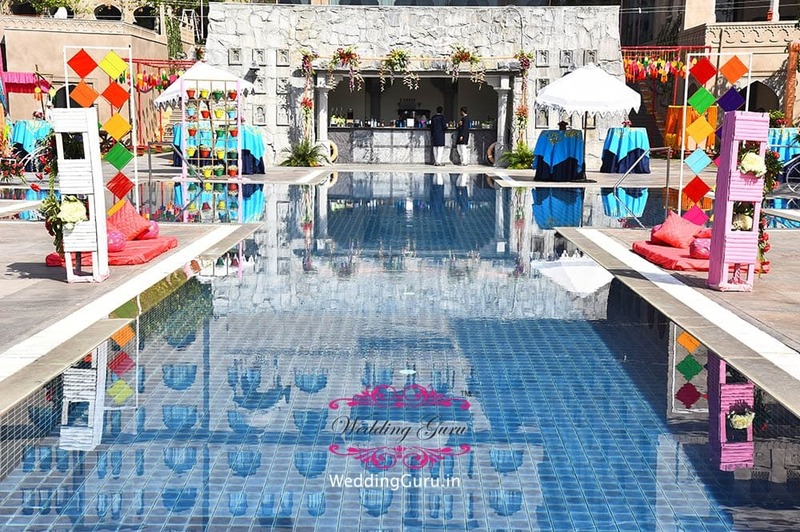 A truly remarkable and memorable experience for you and your guests…………….don’t take our word for it listen to our happy couples. 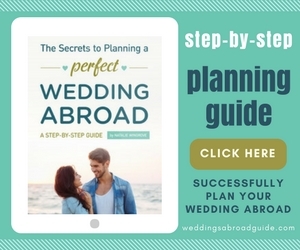 Booking various vendors & signing contracts with them. 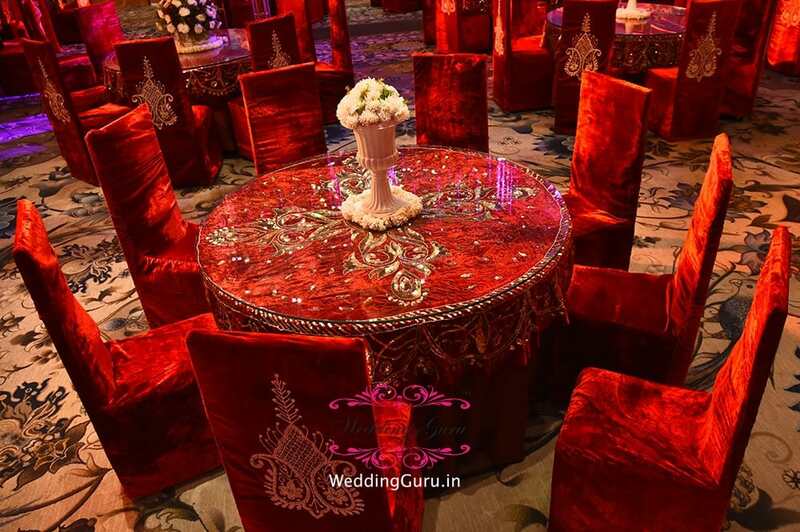 Proper management with unlimited email / chat and phone support and meetings with you to discuss ideas, possibilities to finalise details. 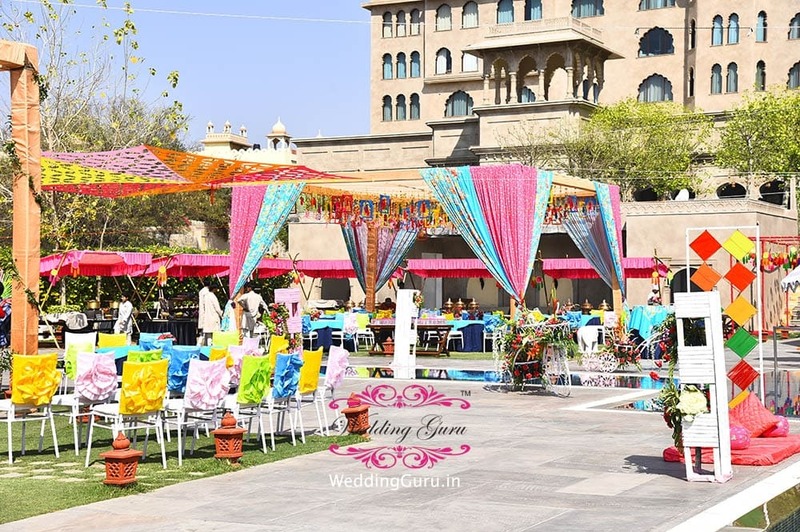 Consultations and coordination with hair, makeup, wardrobe and accessories experts in keeping with latest trends and your liking. 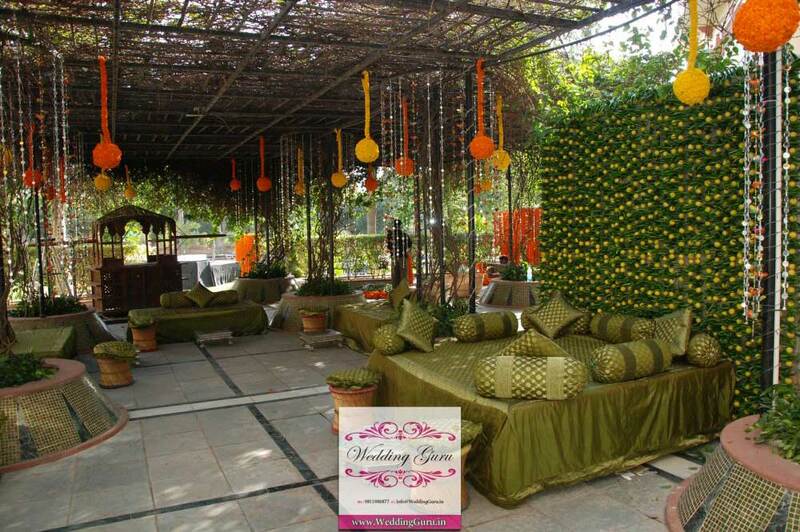 Stylists and Mehendi (henna) experts. 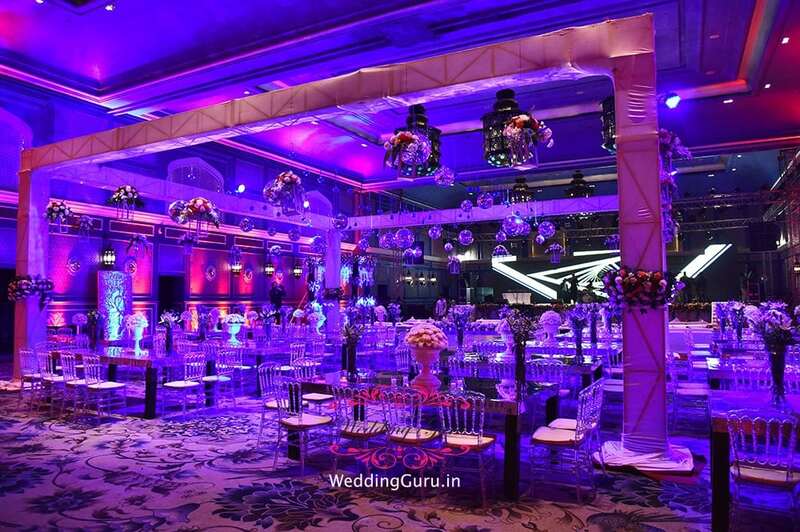 Choreographer for the guests and also for the first dance. 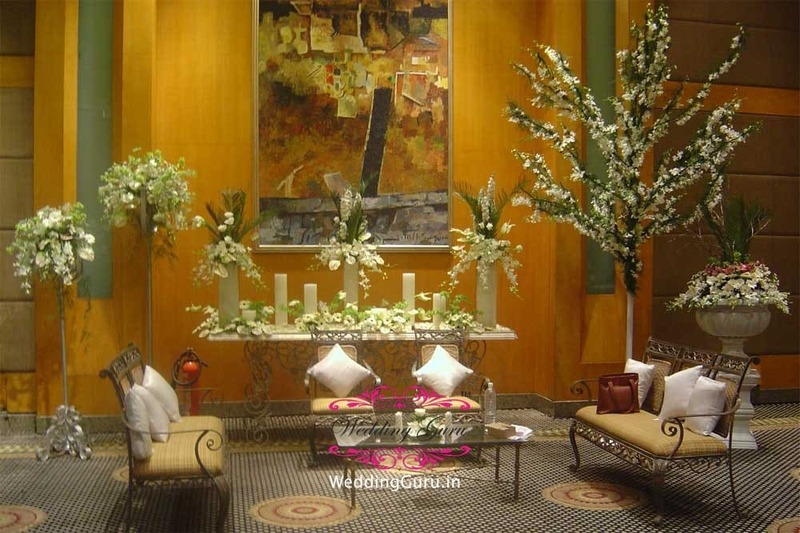 Supervision of all the arrangements. 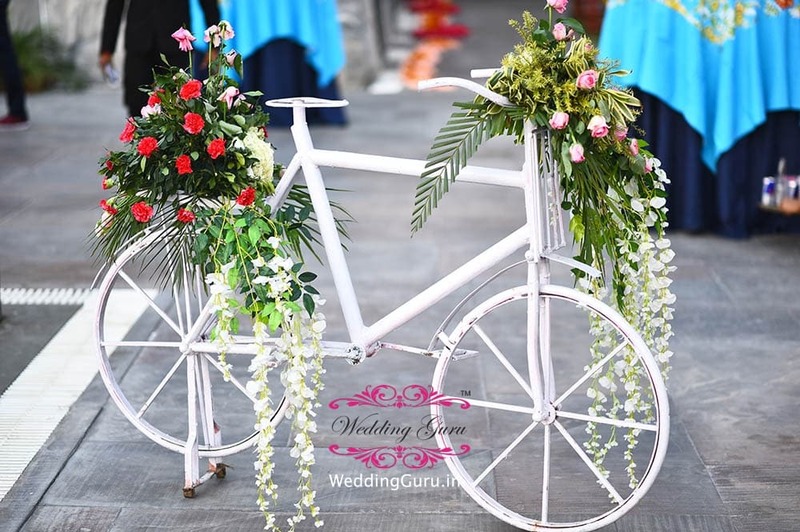 Local transportation – airport pick ups/drops, local transportation, or inter city transportation etc. 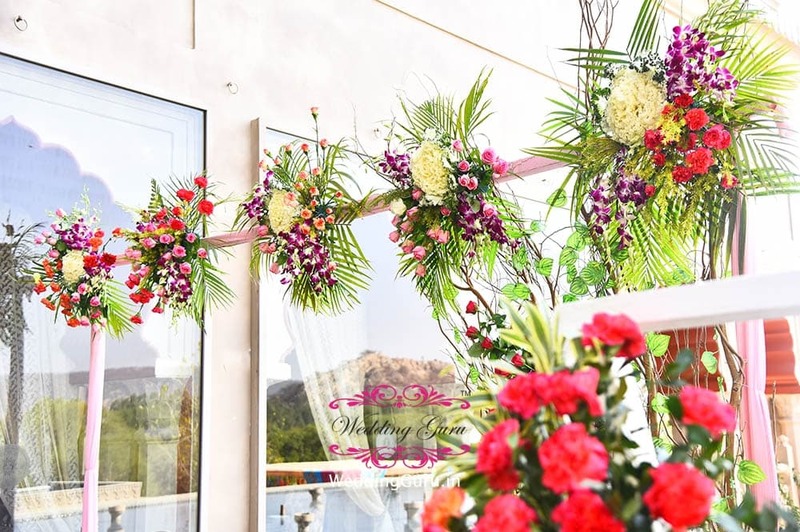 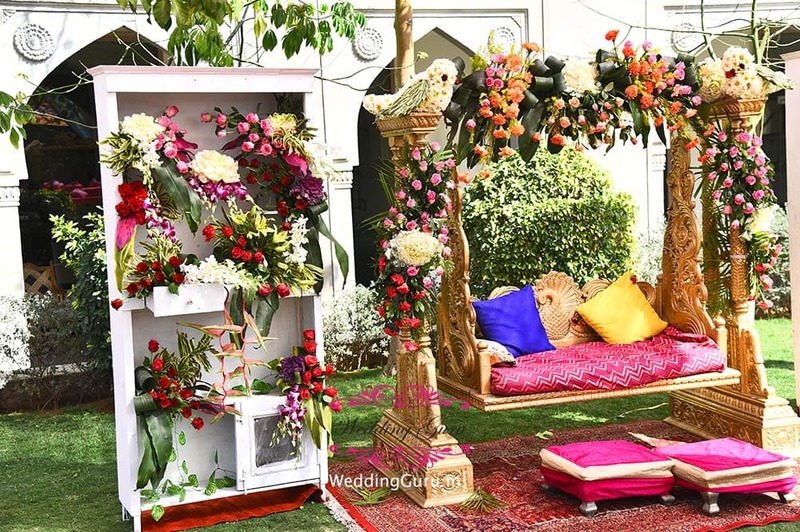 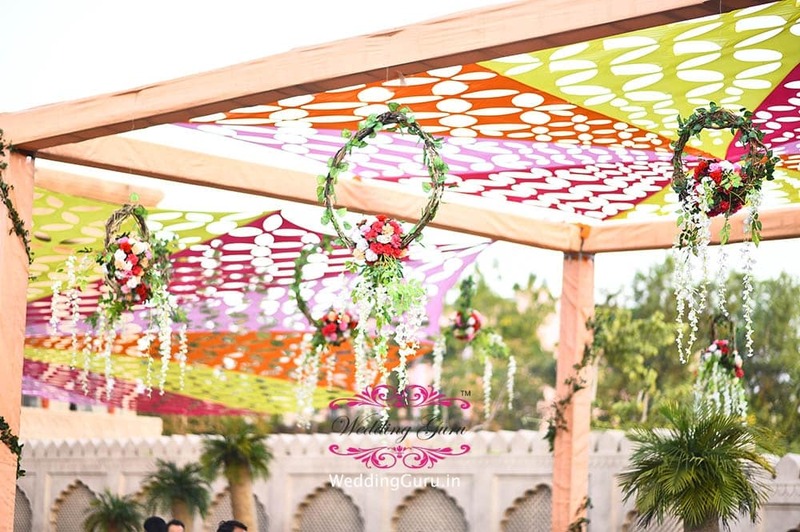 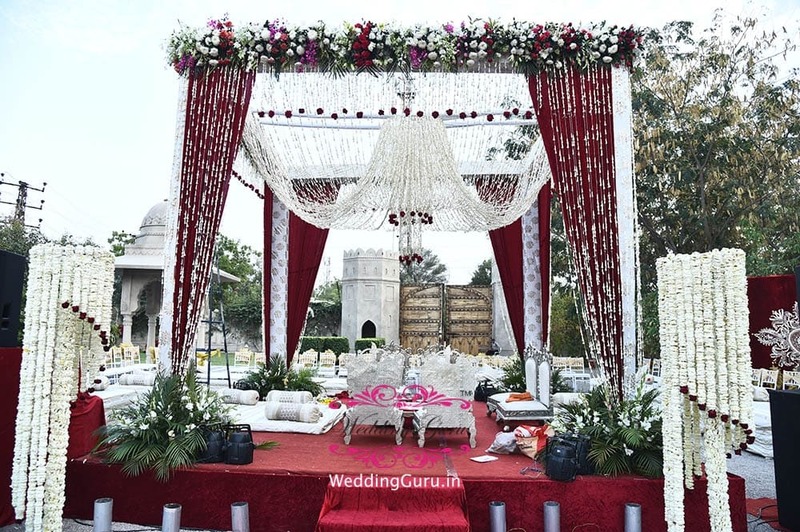 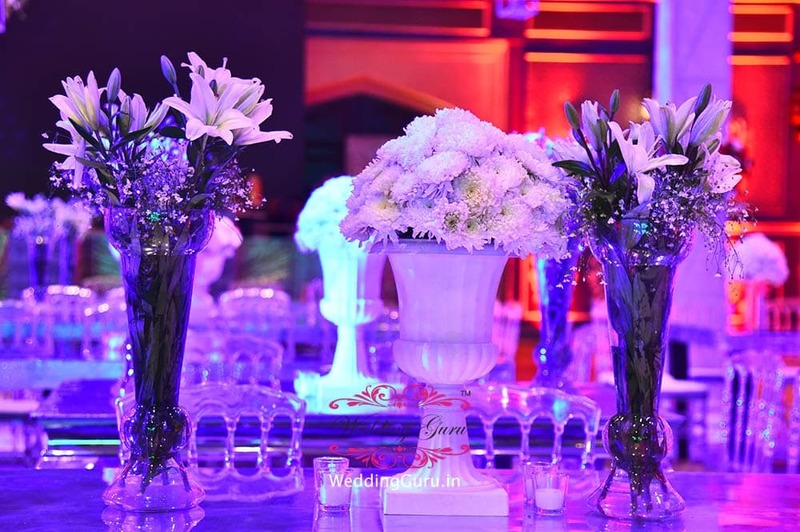 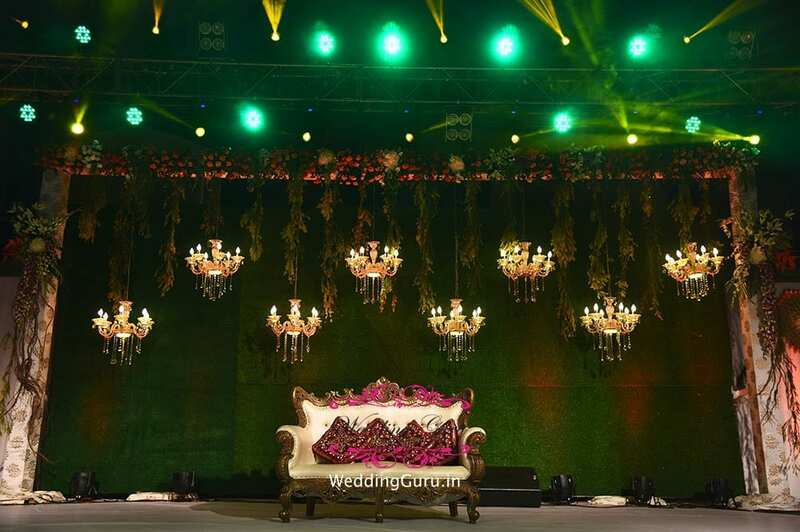 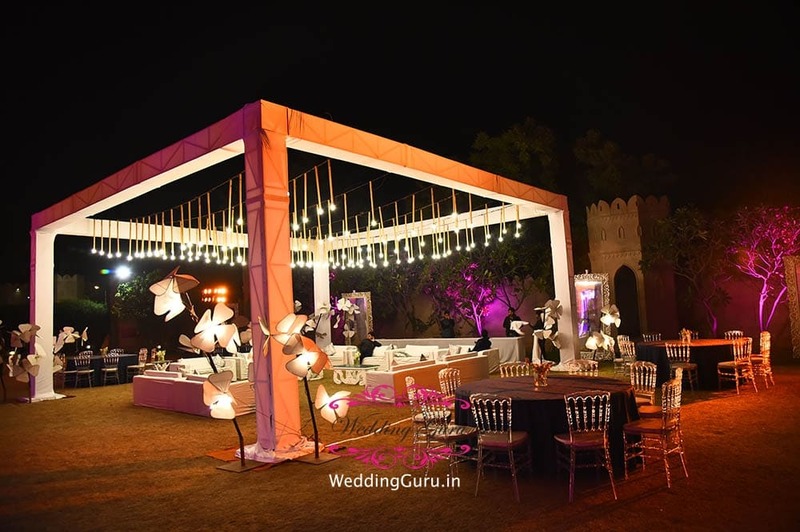 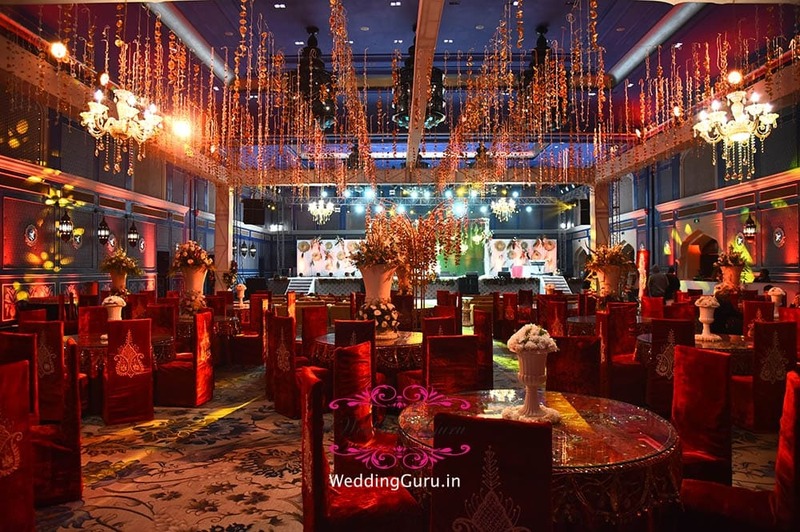 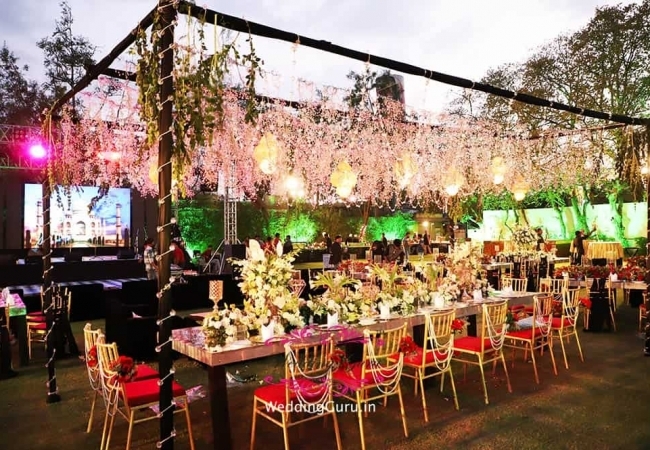 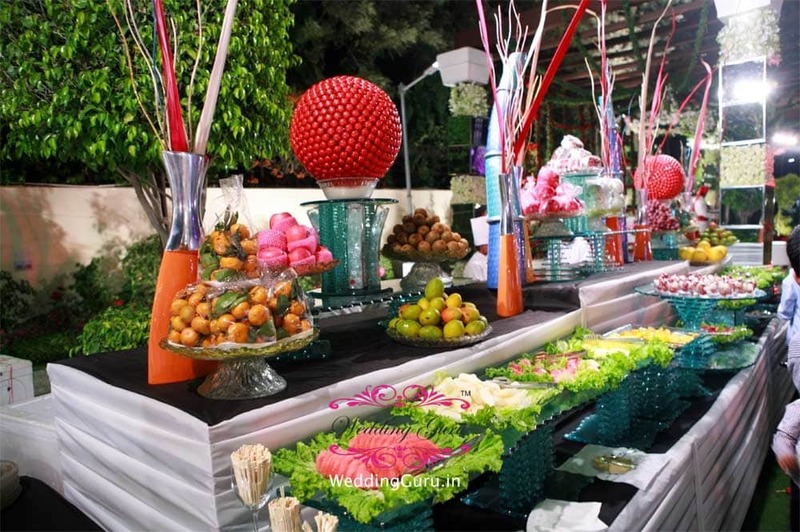 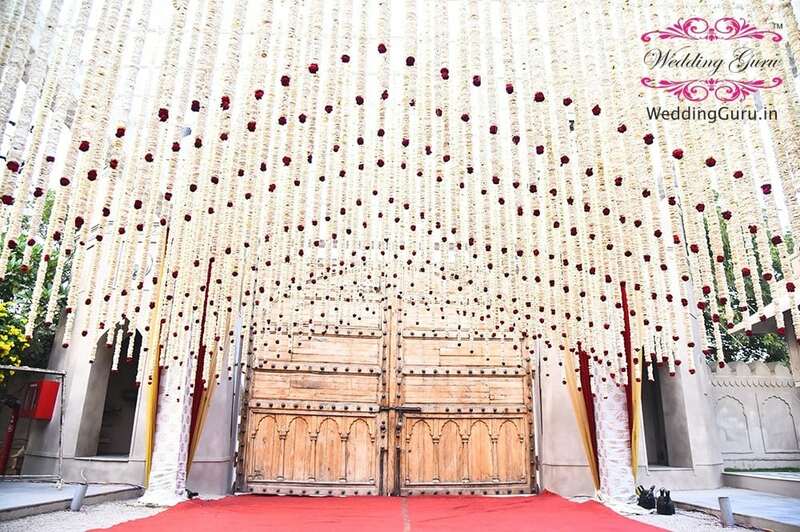 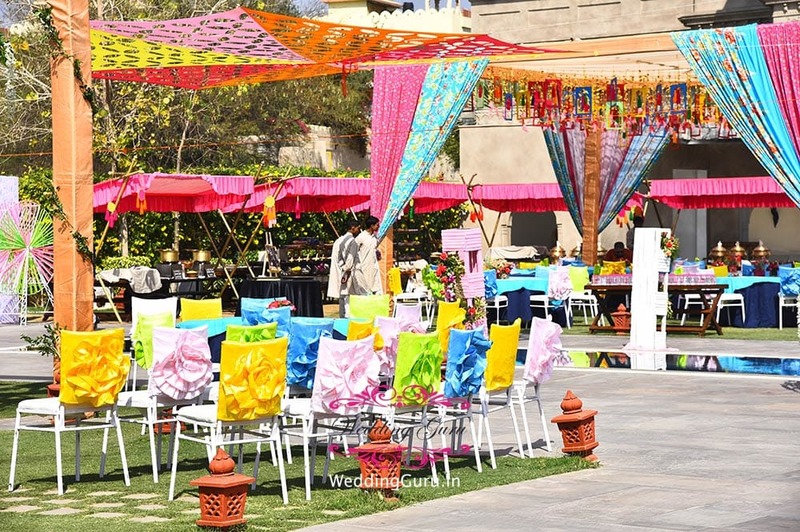 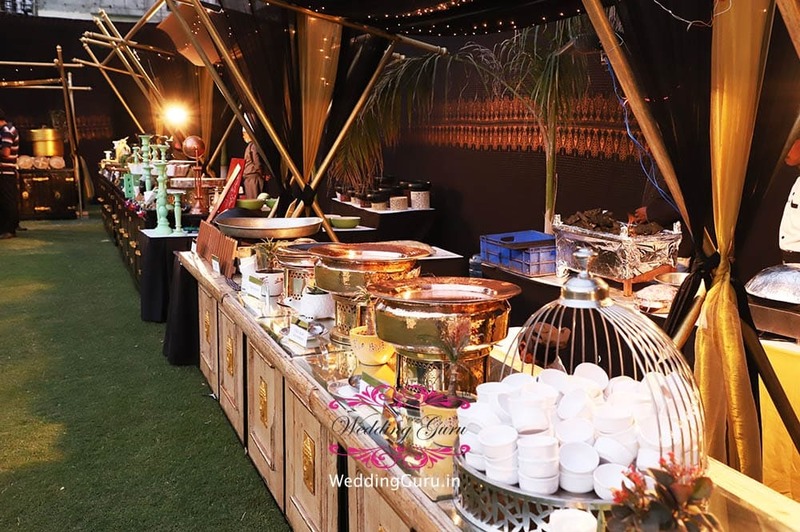 Décor – onsite as well at off site – tenting, floral, props etc. 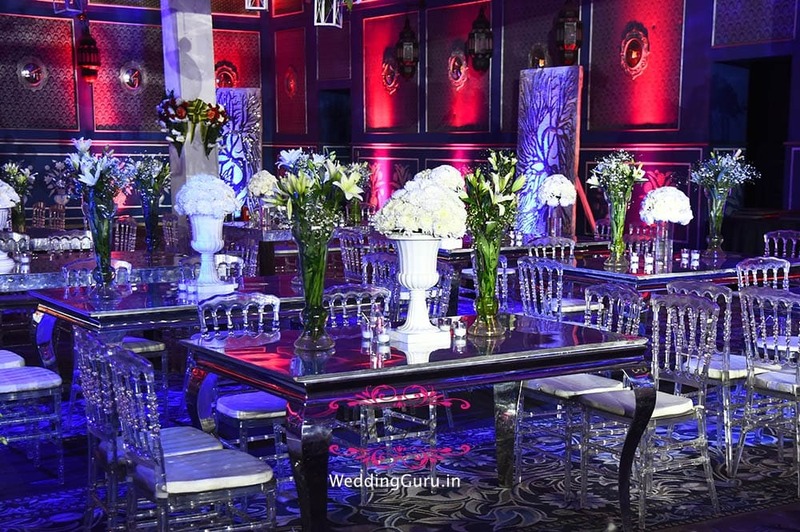 Travel help desk at the venue. 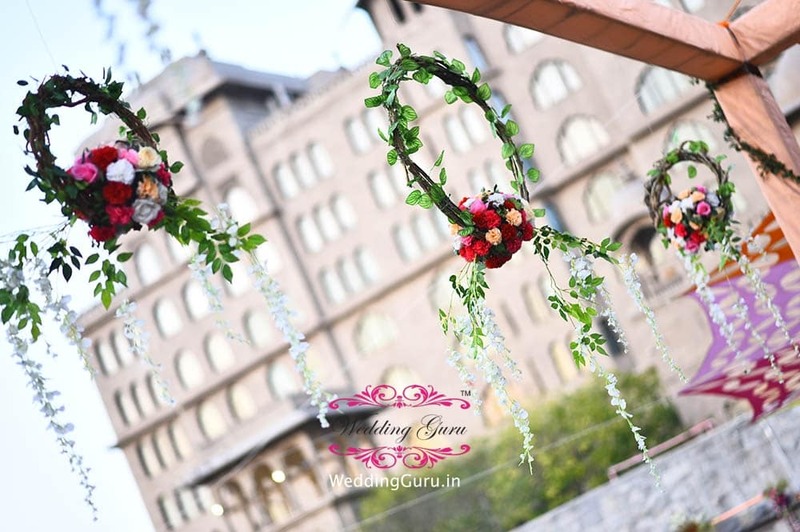 and any other wedding related work. 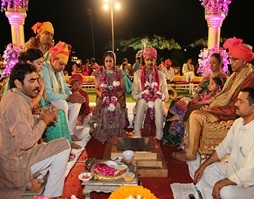 Weddings are typically complicated affairs with so many rituals, functions and happenings; ensure you have an holistic and integrated approach through a single point of contact at the chosen destination whom is prepared to be responsible and accountable for all aspects of the arrangements, and thereby will assist to relieve you of some of the burden and unavoidable stress of getting married – this will ensure you have the destination “Wedding of Your Dreams”. 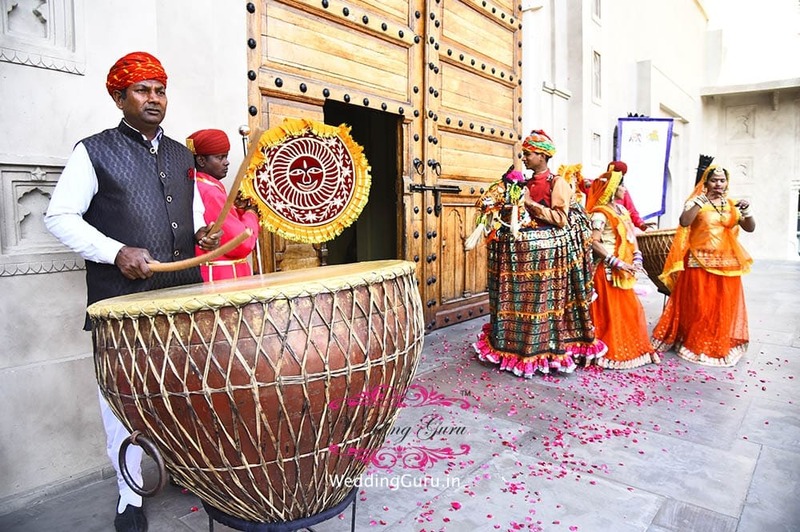 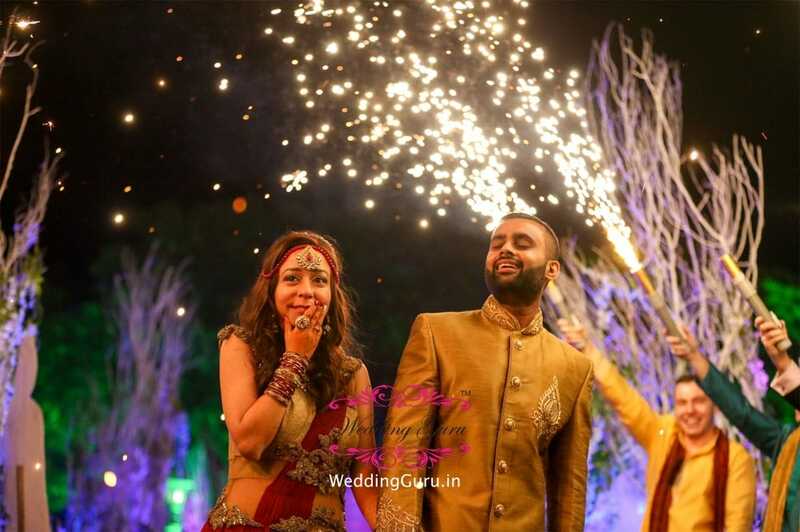 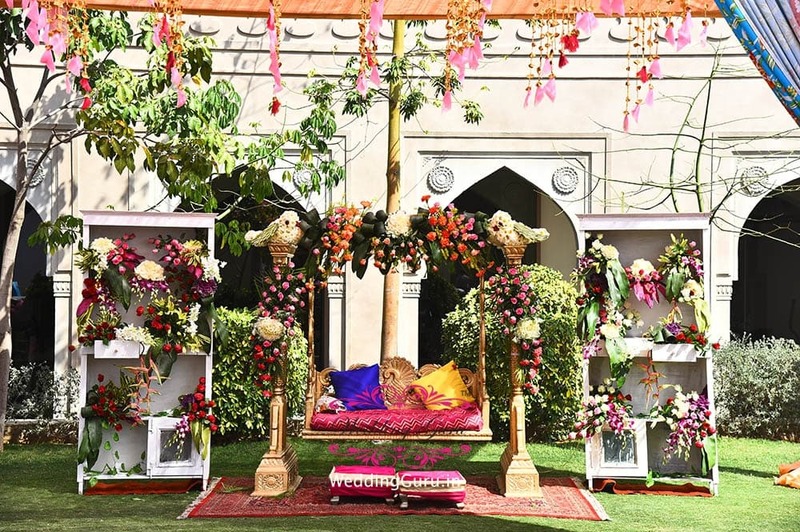 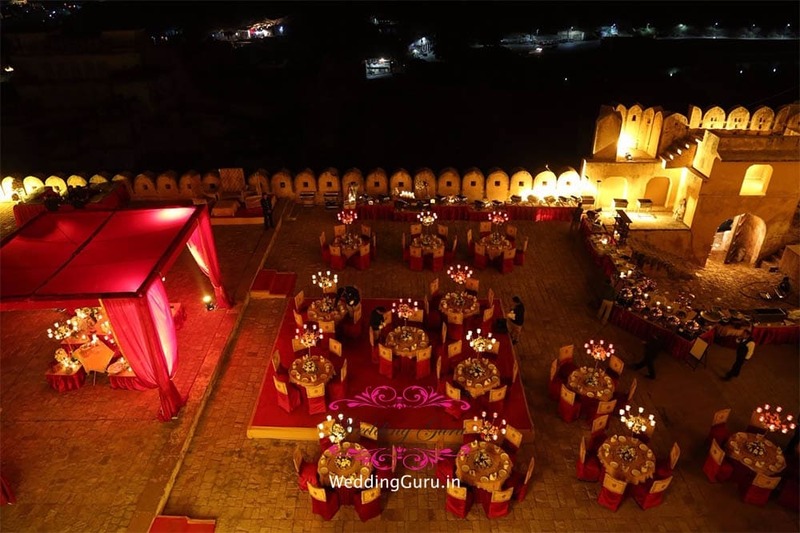 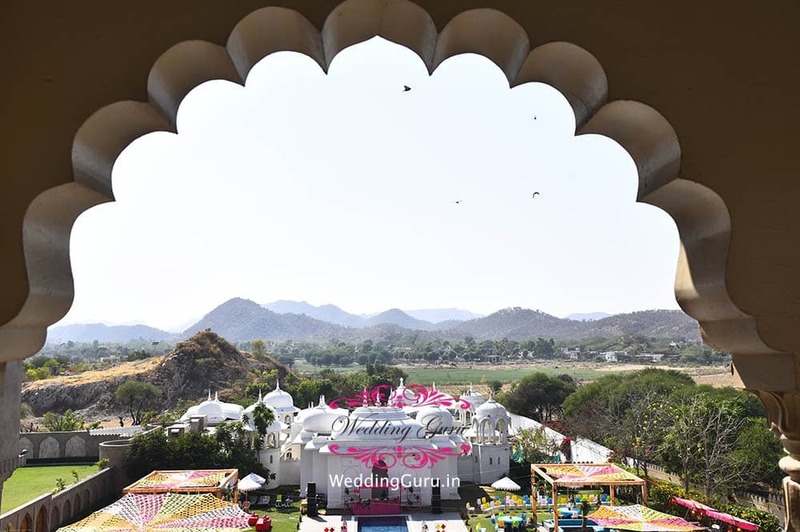 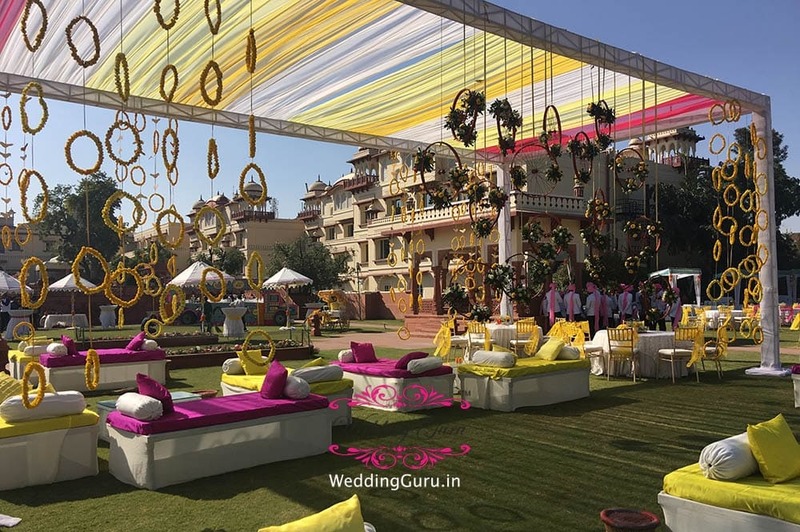 We recommend anyone thinking of doing a destination wedding in India should travel there 6-12 months beforehand and we will accompany you FOC for 3 – 5 days and if you book your wedding through Wedding Guru India we will cover the bride and groom’s airfares (subject to terms & conditions).